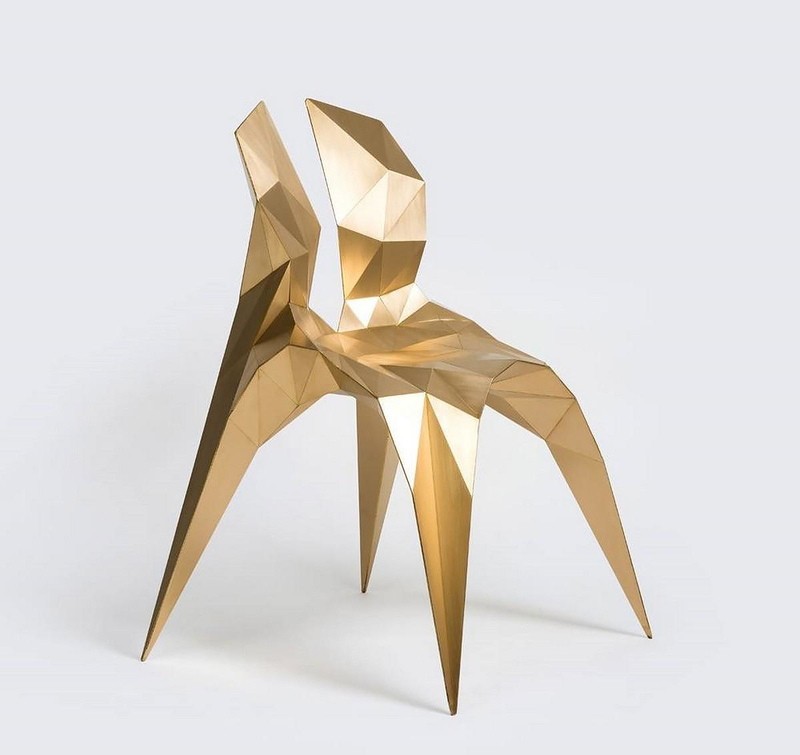 HomeBlogArtSplit Chair Brass by Zhoujie Zhang. 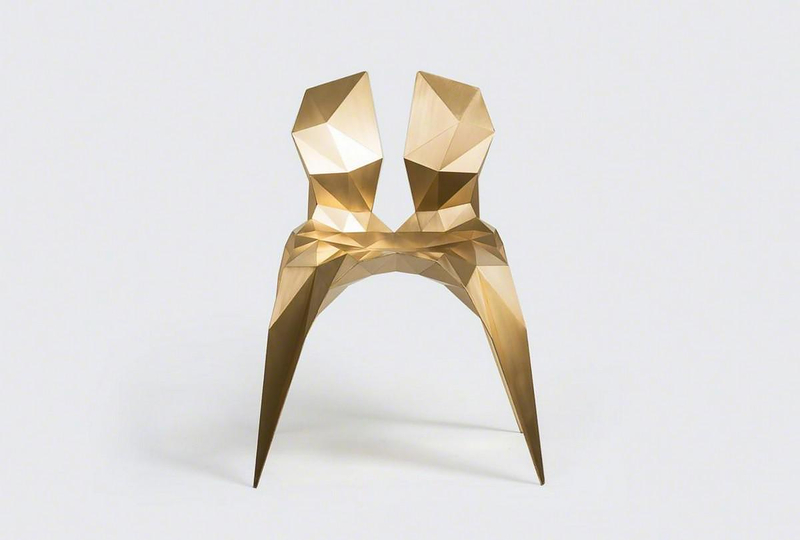 Split Chair Brass by Zhoujie Zhang. 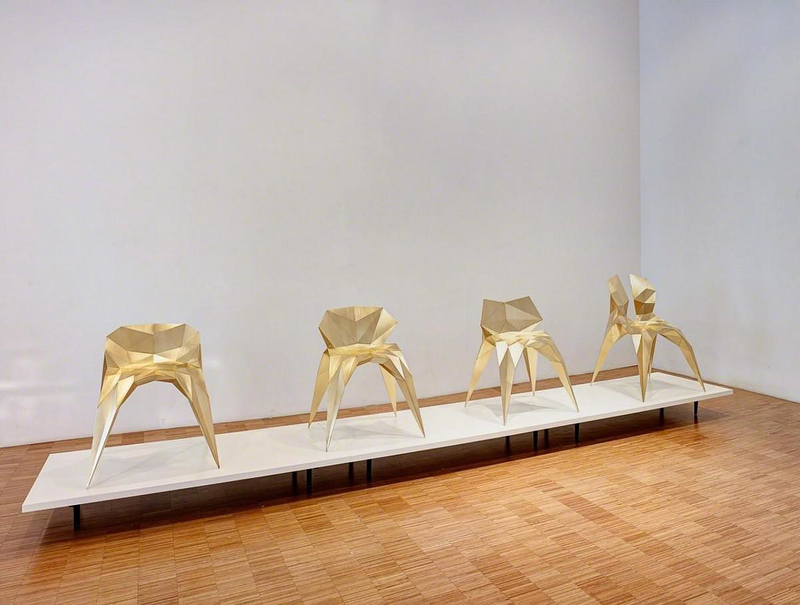 The Spit Chair by artist furniture designer Zhoujie Zhang is a remarkable object, a sculpture masked as furniture, fabricated and designed using cutting edge technology. 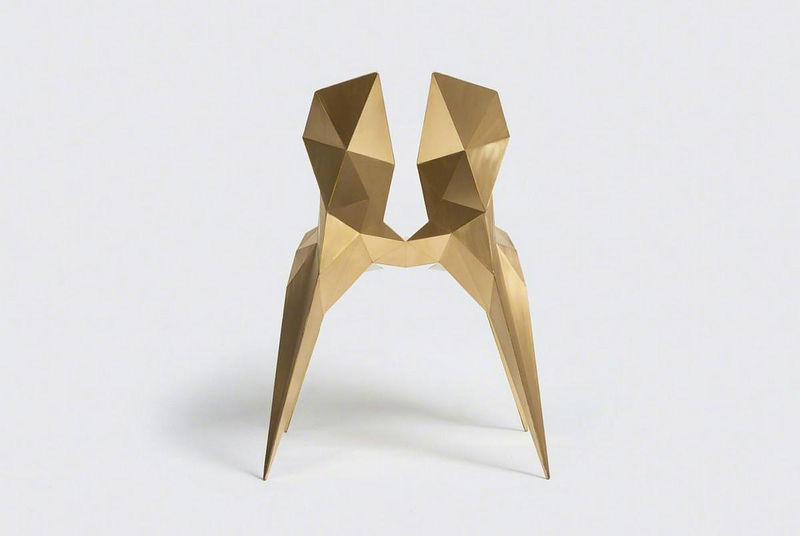 The Split Chair is part of the “Brass Collection 2104”a series of objects developed using a digitalized fabrication system, which the designer nicknamed “Endless Forms” Zhoujie’s own-design special fabrication platform can generate an ever-changing variety of objects. To produce this object, Zhang inputs basic mathematical instructions into a computer and allows the program to generate forms. Using this method the designer becomes a genuine creator, as he can convert the structure of objects in real time, thus creating infinite possibilities. In the eyes of Zhoujie Zhang, it is as if viewing the world through a kaleidoscope, ever changing and altering shapes. 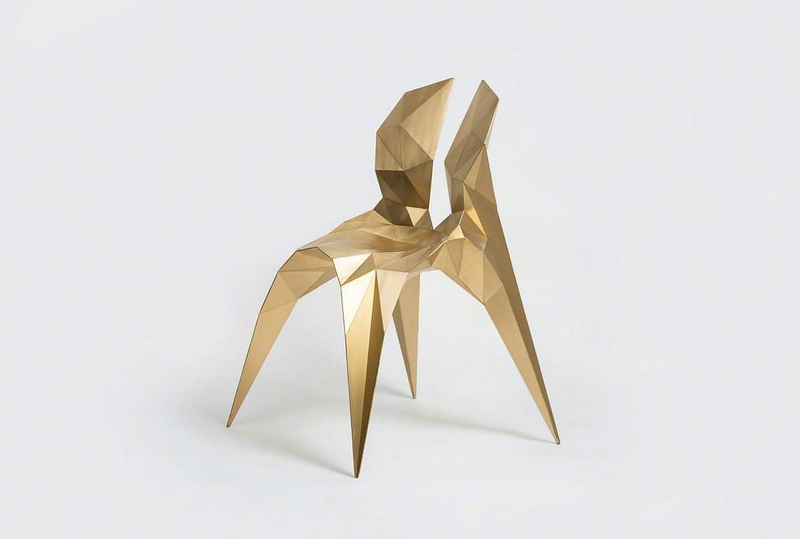 The selection of brass as the material for the split chair produces a stunning visual affect, yet it requires extreme caution during the fabrication process. 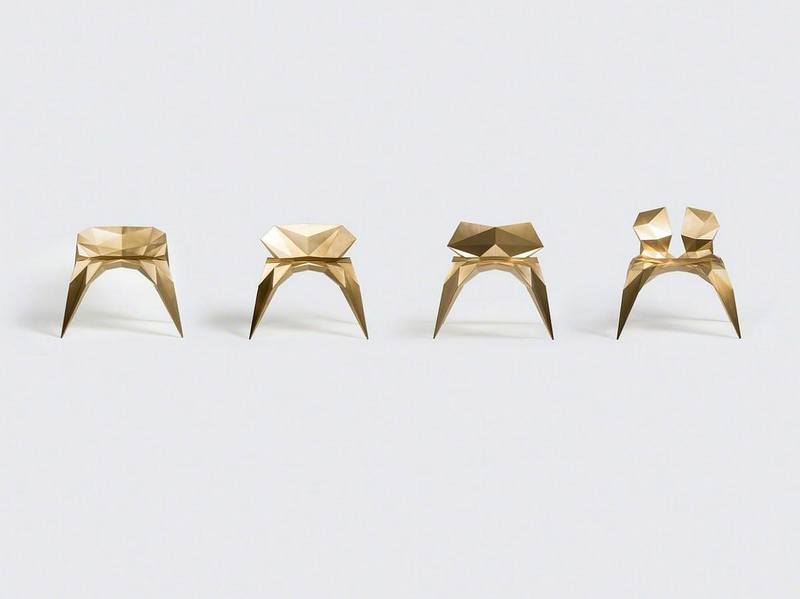 Initially the sheet of brass is cut using a laser, the pieces are then cut, bent, and polished by hand in Zhoujie’s in-house workshop. 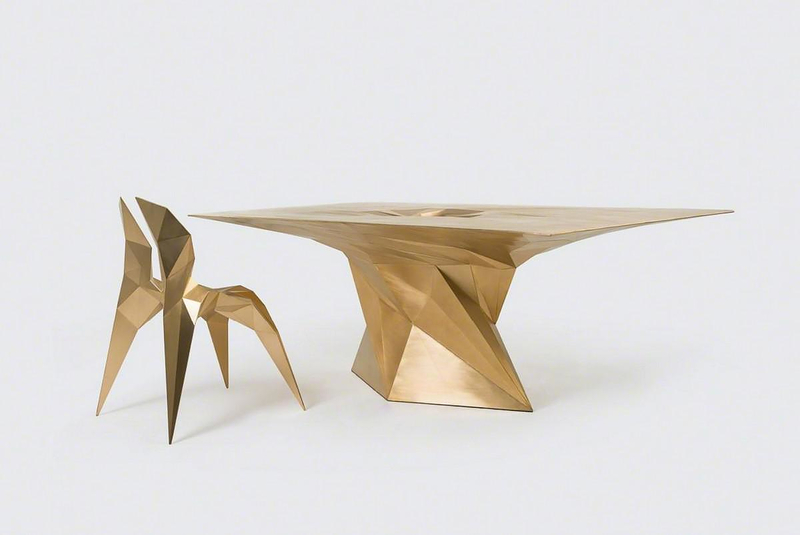 Brass, is a relatively soft material, it is quite easy to distort and scratch due to the touch during the transportation, laser-cutting and fabrication process. Therefore, the production of every single split chair has to be done with extreme attention to detail. A new material means new attempt from structure, every step and the whole procedure needs innumerable tests. In the future, the designer envisions that his digitalized fabrication system will evolve to the point that people will be able to directly participate in the creation of objects through its use. The client will be able to design a customized chair through the digital system and select different materials of their choice. Zhoujie Zhang believes that his revolutionary artificial intelligence design concept will fit better into the life and preferences of each individual, and, the interaction between product and human will be deepened. The process of design will evolve from single physical phase to a systematic level. 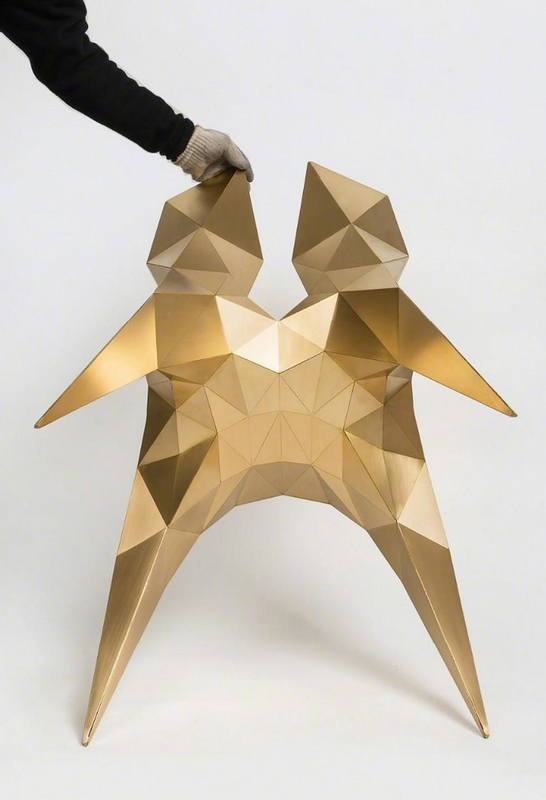 Zhoujie’s works and design principles are based on spontaneity, taken from the philosophies of Taoism. This philosophy reflects his understanding of ACTIONLESS, which pays respect to the logic of mathematics and the laws of a digital environment. As an independent designer, Zhoujie Zhang believes that good design is inspired by process. By continuously forming new concepts throughout the course of development and production, the creation is a constant progression of its evolution. 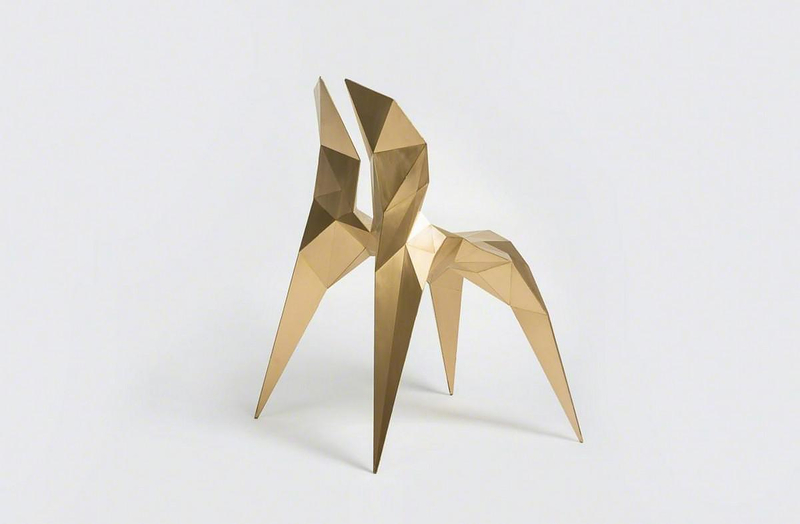 Bold chair by BIG-GAME for Moustache. 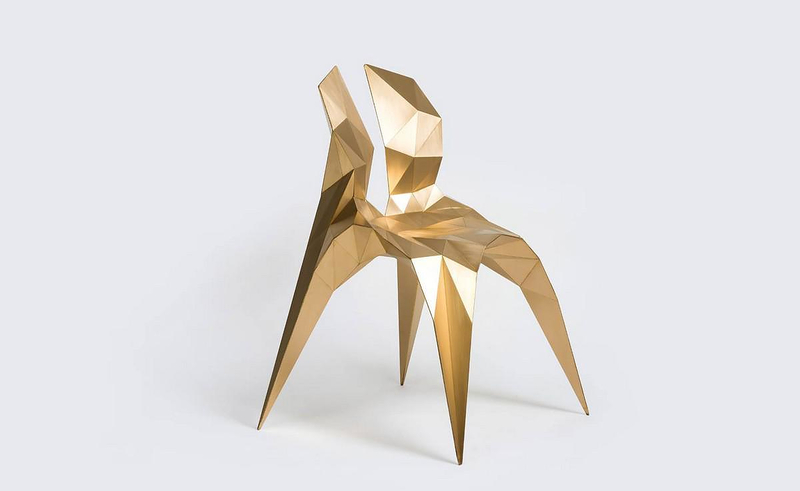 Lastika Chair by Velichko Velikov for LAGO.